On this week's podcast, we discuss a very straightforward idea: morality is nothing more than a consideration of consequence. We explain why this system of morality is superior to those offered by religion. Click on the gray box below to play the podcast. My previous post about unconditional love requires that I go further. Based on my understanding of how people think, no doubt the idea that we should approach romantic love without conditions seems radical...even absurd to many readers. One reason is that, perhaps, most people are not actually seeking (nor experiencing) the deepest and truest forms of love. We are too afraid to give up our conditions, which we believe potentially protect us from the pain of heartbreak. Let's be honest. We are afraid that even if we were able to profess unconditional love, the object of our affection may not return it or, worse yet, may take advantage of it by acting selfishly. Of course this would appear to be a legitimate objection to the idea I posed on Saturday. I subsequently realized that, when I say "unconditional love", what I'm really talking about are the conditions that we artificially impose upon the object of our affection -- the threats, the conditions, the rules (such as the examples I provided in the last post). However, it is not technically true that love is unconditional because, indeed, there are conditions that nature imposes...sort of natural conditions under which love is possible. Love flourishes under conditions that are perhaps slightly different to each of us. Some of us fall in love when the situation is dramatic or impossible, some of us feel love under conditions of kindness, or when the person shows true understanding, when we feel we are taken care of in some way, when we feel comfortable even in silence, when we are respected. Indeed, there are some natural conditions each of us have for love whether we understand them exactly or not. So how could I have said that love is unconditional? I stand behind the belief that we cannot impose our conditions upon the other! We cannot artificially impose our conditions because to do so means that we stop just short of love! We may achieve a nice situation for a time, but not love in its truest form. Love is not "I'll watch your child as long as she behaves". Love is "I'm committed to this child for my entire lifetime." Love asks us to accept the other person (though certainly not all their behaviors) and ask primarily of ourselves. Love works when we look inward -- asking ourselves what kind of person we want to be for the other, what kind of love we want to create, what kind of person we want to become. Love works when we understand that our own decisions and actions have an impact on the kind of love we experience. This is the opposite of how most people look at it (looking only externally, at the other). In my previous post, I mentioned the traditional marriage vows and suggest that I literally agree with the notion of "for better or for worse." I don't think anyone should walk down the isle unless they mean this, literally. However, I will say that, in practical terms, those vows were probably not created to convey the exact meaning of what I'm saying. Traditionally, those vows were meant to mean that the wife was to accept the husband for better or for worse. Of course the woman was meant to behave and obey (not to cause any "worse" stuff herself)! Of course I thoroughly believe in equality, so I'm saying that this notion must apply to both. So let's get very specific and practical about this. Let's imagine a hypothetical where a woman falling in love decides to give her partner the kind of unconditional love I have described. Let's say her partner immediately decides to take advantage of the situation -- he sleeps with another woman! He does so because he truly does not fear that she will leave him for it. However, in doing so he also fails to understand the natural conditions of love. 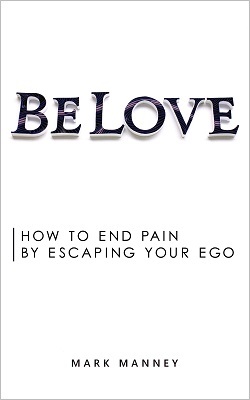 While she has professed unconditional love for him, she did not promise to feel no pain. Even after this deed, she continues to love him unconditionally and eternally, but his selfish actions have damaged her in many ways. What he must understand is that, while she will not leave him or stop loving him for his selfish actions, he has created very negative consequences in his own life. He has diminished the value of that relationship by doing things which have caused pain, which have failed to live up to the natural conditions upon which love can live and grow! Under these conditions, she may even decide to do the same...to sleep with another man. This time he is truly tested. Does he also accept the notion of unconditional love or does he immediately leave her for committing the same act he just did? See, she promised him unconditional love...not that she would behave and obey under any and all circumstances! See, if he leaves, then she has actually remained true to unconditional, eternal love. The situation has resolved itself without her having to violate this highest ideal! But if both parties are truly committed to this kind of love, then our imaginary couple would each look inside themselves and ask themselves what kind of relationship, what kind of "life reality" they want and what are the behavioral conditions necessary to create it. In short, unconditional love is not a promise that real feelings, real reactions, real consequences do not exist! It is simply a promise to remain completely, eternally open to the one we love. It is also a promise not to impose upon the other; rather, to accept and embrace the other as we ask of ourselves. Any objection to any behavior by the other must be done in the language of, "When you do this it makes me feel this way or has these consequences." From that point, it is up to the other to decide what to do. So the kind of unconditional love I described in my previous post is not a free pass. Just as those who live without fear of religion are perfectly capable of becoming moral people (sometimes more so than religious people), those who create a relationship based on unconditional love may also find themselves respecting each other with their behavior. They do this not from fear but from understanding! They understand love's value and do not recklessly set out to undermine the natural conditions upon which love can flourish. Do I dare talk of love? Well, I will not be so bold and naive as to attempt to define what love is. I have no problem, however, asserting what love is not. How can anyone put conditions on love and still call it love? Isn't conditional love nothing more than a nice arrangement, an enjoyable situation, a temporary state that exists only as long as certain conditions exist? When we attempt to make love conditioned upon what the object of our affection says or doesn't say...does or doesn't do...then, sadly, we are actually failing to love in the first place. I will love him as long as he is kind to me, shows proper respect to me, whatever. These kinds of common statements should be challenged if we actually are seeking true love! When we love, do we not embrace everything about the person? Her perfections and imperfections, her laughter and her shouts, her gentle touch and her bad habits, her generosity as well as her selfish needs, the way she is now as well as the way she has been and will be? Do we love the person or a set of behaviors? Do we love the arrangement or the soul, itself, which has merged with our own?!? And when we proclaim love for a person, are we not meant to be proclaiming something that is never-ending? Most people actually do understand the concept of unconditional love when it comes to their children. We do not so easily disown children as we so easily toss aside lovers or spouses. Yet how strange that is, since romantic love asks for all of our being while parenthood requires only parts. "Modern-thinking" people so easily sneer at those traditional marriage vows, "For better or for worse, for richer or poorer, until death do we part." These days people tend to agree that such a notion is quaint; that to walk away from a relationship when things "don't work out" is the right thing to do. These same people will never love in the truest sense because love is not an arrangement! Love is the merging of two souls at a level so deep that they become one and cannot be separated under any circumstance! When two people open their hearts to unconditional love, what they find is something so real, so secure that they can comfortably fall into the hands of love without fear. They can be free, they can discuss anything, pursue anything. Their love creates a positive, never-ending feedback loop. It is a spiral in which there is no tug-of-war between two beings but there is, instead, a constant never-ending source of growth and even newness. Why do we fear being called a hypocrite? What exactly does it mean and what merit does this charge actually have?